The dharmasastras, including the Manusmrti, mention eight forms of marriage. The eight types are: brahma, daiva, arsa, prajapatya, asura, gandharva, raksasa and paisaca. After the student bachelor has completed his gurukulavasa, his parents approach the parents of a girl belonging to a good family and ask them to give away their daughter in marriage to their son--to make a gift of their daughter (kanyadana) to him. A marriage arranged like this is brahma. In it this girl's family does not give any dowry or jewellery to the boy's family. There is no "commercial transaction" and the goal of a brahma marriage is the dharmic advancement of two families. Of the eight forms of marriage the dharmasastras regard this as the highest. Marrying a girl to a rtvik (priest) during a sacrifice is called "daiva". The parents, in this type, after waiting in vain for a young man to turn up and ask for their daughter's hand, go looking for a groom for her in a place where a sacrifice is being conducted. This type of marriage is considered inferior to brahma. In the sastras womanhood is elevated in that it is the groom's family that has to seeking bride for their son. The third form, "arsa" suggests that it is concerned with the rsis, sages. It seems the marriage of Sukanya to Cyavana Maharsi was of this type. But from the dharmasastras we learn that in arsa the bride is given in exchange for two cows received from the groom. If the term is taken to mean "giving away a girl in marriage to a rsi", we must take it that the girl is married off to an old sage because the parents could not celebrate her marriage according to the brahma rite at the right time. The fact that cows are taken in exchange for the bride shows that the groom does not possess any remarkable qualities. According to the sastras, in marriages of noble kind there is no place for money or anything smacking of a business transaction. In prajapatya there is no trading and kanyadana is a part of it as in the brahma ceremony. But from the name prajapatya it must be inferred that the bride's menarche is imminent and that a child must be begotten soon after the marriage. For this reason the bride's father goes in search of a groom, unlike in the brahma type. The brahma type is a better type of marriage than prajapatya since, in it, the groom's people go seeking a bride who is to be the Grahalaksmi of their household. In the asura type the groom is in no way a match for the girl, but her father or her relatives receive a good deal of money from the man who forces them to marry her to him. In arsa in which cows are given in exchange for the bride there is no compulsion. Nor is the groom wealthy or powerful like his counterpart in the asura type. Many rich men must have taken a second wife according to the asura type of marriage. The next is gandharva. The very mention of it calls to mind Sakuntala and Dusyanta. The gandharva type is the "love marriage" that has such enthusiastic support these days. In the raksasa form the groom battles with the girl's family, overcomes them and carries her away. It was in this manner that krsna Paramatman married Rukmini. The eighth and last is paisaca. In asura even though the girl's willingness to marry the man is of no consequence, at least her people are given money. In raksasa, though violence is done to the girl's family, the marriage itself is not against her wish. Rukmini loved Krsna, did she not? In paisaca the girl's wish does not count, nor is any money or material given to her parents. She is seized against her wish and her family antagonised. We have the brahma type at one end and the paisaca at the other. There cannot be the same system or the same arrangement for everybody. Our sastras have taken into account the differences in temperament and attitude among various sections of people and it is in keeping with the same that they have assigned them different rites, vocations, etc. All our present trouble arises from the failure on the part of men, who advocate the same system for all, to recognise this fact. There are tribals living in the forests who look fierce and have a harsh way of life. But at heart they may be more cultured than townspeople, not to speak of the fact that they are useful to society in many ways. They have frequent family feuds. In consideration of this raksasa and paisava marriages may have to be permitted in their case. After the marriage, they are likely to forget their quarrels and live in peace with each other. Ksatriyas who are physically strong and are used to material pleasure are allowed the gandharva form of marriage and their girls have even the right to choose their husbands as in the svayamvara ceremony. Unfortunately, in the case of some girls, a groom does not turn up in time for a brahma marriage to be performed. Meanwhile, they grow old and their marriage is conducted in the arsa, daiva, or prajapatya way. Only these types are permitted for Brahmins. But for the rest other types are also allowed. They may marry a girl who has come of age either in the gandharva way or in a svayamvara. The marriage mantras are intended for all the eight forms. It means that they are employed even in the marriage rite of girls who have attained puberty. The two mantras quoted above are recited in all the eight types of marriage. They are addressed by the groom to the bride who comes to him after she has attained puberty and after she has been under the guardianship successively of Soma, gandharva and Agni. The mantras are chanted not only in brahma marriages but also in all other forms. The same are addressed by the groom to his child bride also. Though his marriage is being solemnised to the child bride now, he will start living with her only after she comes of age, after she becomes a young woman. He will bring her home to live with him only after she has come successively under Soma, gandharva and Agni. So he chants the mantras in advance. 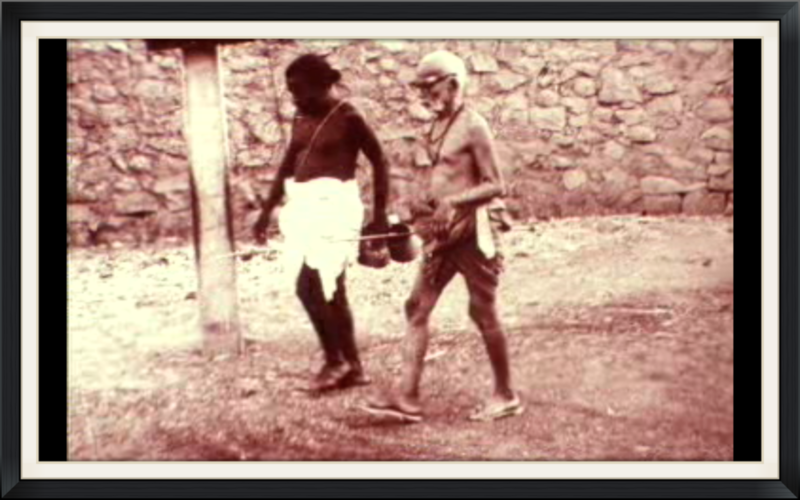 Nowadays we sometimes perform a number of samskaras together long after they are due according to the sastras. For example, we perform the jatakarma if a son as well as his namakarana and caula during his upanayana when he is 20 or 22 years old and not long before his marriage. Similarly, instead of such postponement of the rites, in the brahma marriage the mantras mentioned above are chanted in advance. I will give you an example in this context. When the brahmacarin performs the samidadhana he prays before Agni to grant him good children. How absurd would it be for our reformers to argue, on the basis of this prayer, that a young boy must have children when he is yet a celibate-student and that he may become a householder only later. The point to note is that the boy prays on advance for good children. The Vedic mantras cited by reformers must be seen in the same light. The mantras [quoted by reformers] are appropriate for the marriage of a girl who has come of age also. This is our reply to the school of opinion represented by the Rt Hon'ble Srinivasa Sastri. If the mantras in question are chanted at the time of the marriage of girls who have come of age, it does not mean that all marriages are to be celebrated after the girls have attained puberty. According to the brahma form of marriage, the girl must not have had her menarche. There is incontrovertible proof for this in the Vedic mantra chanted at the end of the marriage rite. . The question now is about the verse (from the Manusmrti) cited by the reformists. According to it, a girl may wait three years after her menarche and then seek her husband on her own. There is an answer to this. The general rule according to the dharmasastras is that a girl must be married before she attains puberty: "Pradanam prak rtoh. " What happens if this injunction is not followed? If groom does not come on his own, seeking the girl's hand, her father or brother must look for a groom and marry her off. But if they turn out to be irresponsible or otherwise fail to find a groom? Or if the girl has no guardian, no one to care for her? The lines quoted by the reformers from the Manusmrti apply to such a girl. She may look for a husband on her if none of her relatives, neighbours or well-wishers take the trouble of finding her a groom even after she has attained puberty. Though the reformists quote from the Vedas and sastras in support of their view, they fail to take into account the context in which the relevant passages occur. They see them in isolation. That is why they keep arguing that the customs followed by people steeped in our traditions are contrary to the sastras. In the Chandogya Upanisad there is mention of a sage called Cakrayana Usasti whose wife had not come of age. The reformists do not examine such references in our ancient texts with a cool head but are carried away by their emotions. In the past the common people did not know how to counter the arguments of the reformists. Even so they did not accept their views thinking it best to follow the practices of their elders, of great men. That is why the bill brought twice by the Rt Hon'ble Srinivasa sastri before the legislative council to amend the marriage act (with reference to the age of marriage) did not receive enough support. Later (Harbilas) Sarda introduced the bill which [on its passage] came to be called the Sarda Act. Many people (in the South) think Sarda was a women and call the law named after him the "Sarda Act". The Central legislative assembly was equally divided on the bill -- 50 percent for and 50 per cent against. Then the British asked one of the nominated members to vote in favour of the bill; and thus the minimum age of marriage for girls was raised by a legal enactment. The bill was passed not on the strength of public opinion but because if the government's intervention. The mind of our British rulers worked thus: "The Congress has been demanding svaraj but we have refused to grant it. Let us give it some satisfaction by being of help in inflicting an injury on the (Hindu) religion. " Now things have changed. There is no respect any longer for old customs and traditions. When the Sarda Act came into force in British India, some Sanskrit scholars returned the "Mahamahopadhyaya" title conferred on them by the government. Among them were Pancanana Tarkaratna Bhattacarya of Bengal and Laksmana Sastri Dravid. The latter was settled in Kasi and had the "Dravid" tagged on to his name to make it known that he belonged to the land of the Tamils. How many people today are inspired to rise in protest against the changes introduced by our government in our sastric observances. Our children must be taught the substance and meaning of the sastras in a comprehensive manner. To speak to them about one aspect here and another there will lead to a haphazard and confused view. The half-baked research carried on in the Vedas has given rise to the opinion that the scriptures favour love marriage. The canonical texts must be seen in their entirety. When a subject is examined, its underlying meaning and purpose must be grasped. Also they must be seen in the light of other relevant passages occurring elsewhere. A conclusion must be arrived at only after a thorough inquiry into all points. The brahma marriage is for all castes. Other forms of marriage are also permitted for non-Brahmins, also post-puberty marriage. If the idea is to give importance to carnal pleasure these other forms may be permitted. But brahma is the best if the purpose of the marriage samskara is the advancement of the Self.